Mertensia maritima, also called oyster plant or oysterleaf, is a surprising plant that tastes quite uncanny for a member of the plant kingdom. Sowing the plant from seed is certainly the best way to grow mertensia. That way, you’ll encourage the oyster plant to settle into its growing environment, and will ensure it develops well. This plant, which is quite fragile, doesn’t much like being moved around or transplanted. 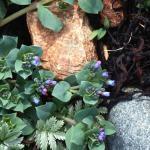 Mertensia is preferably sown in spring or fall, but you’ve got to ascertain that it won’t freeze. Mertensia really hates places that are too hot and too sunny. It appreciates well drained soil and detests moisture. It’s also possible to prepare seedlings in a sheltered spot a bit earlier, and then carefully transplant to the ground in spring. If you were able to prepare seedlings in a covered spot, or if you’ve purchased your plants in a store, it’s best to wait for spring to transplant your mertensia. You’ll be able to plant your mertensia directly in the ground or, better still, in pots: growing mertensia in pots is highly recommended to protect it from snails. Avoid soils that are too compact and too heavy. Favor part sun instead of spots that would get too hot. Water when the soil is dry, but don’t overdo it because mertensia hates moisture just as much as it does dry spells. If you elevate your pots by an inch (a couple centimeters) or so, snails won’t be able to climb on it – and if they could, they would, since they really love the plant! Mertensia is self-sowing, and growing it in containers will help mark out its growing space: when it pleases itself somewhere, it tends to get quite invasive. The oyster plant is rather fragile, and you’ll have to pay attention to its needs if you hope to see it grow to the point of harvesting its delicious herb leaves. Cut the stems back to half their length regularly, this gives the plant vigor and will fortify it. Eliminate flowers as you see them opening up, they’re not really appealing and they absorb a lot of the plant’s energy, diverting it from the leaves which are the highlight of this special plant. Water in case of prolonged dry spells and heat waves. It’s also a good idea to mulch the base of the plant in summer, this helps keep the ground cool. The leaves can be harvested when needed from spring to fall. A morning harvest will taste more fragrant than harvests that are picked later during the day. Never collect more than half the leaves, because the plant needs them to keep growing. These 2 parasites, snails and slugs, are the 2 most devastating pests for Mertensia maritima. Indeed, they simply crave its leaves when they can access them, and will mow down an entire plant in days. It’s preferable to protect your Mertensia maritima from snails and slugs with a protective net or mulch prepared from sharp, dry needle-like material. This plant is often used in gastronomy by connoisseurs, especially rated chefs that love pairing it with fish. It’s delicious both raw and cooked. 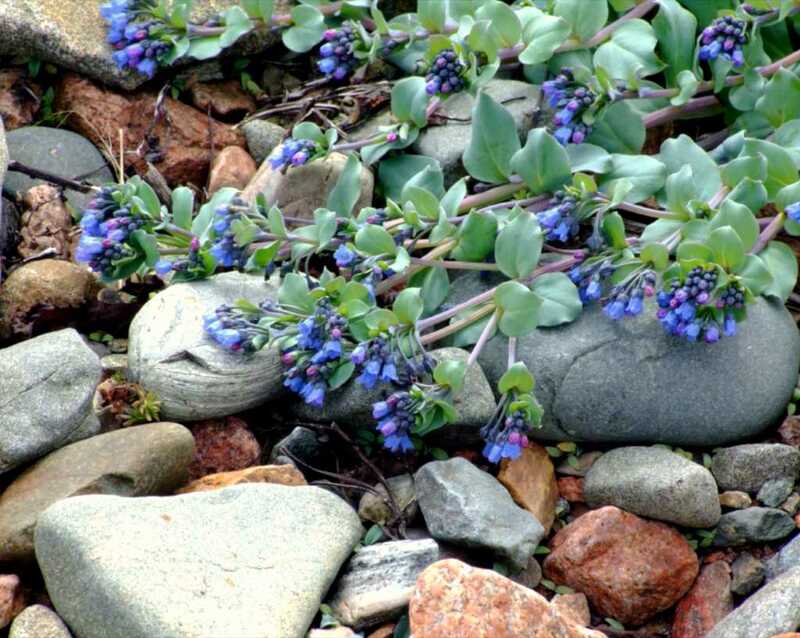 Mertensia maritima was and is known under different names. 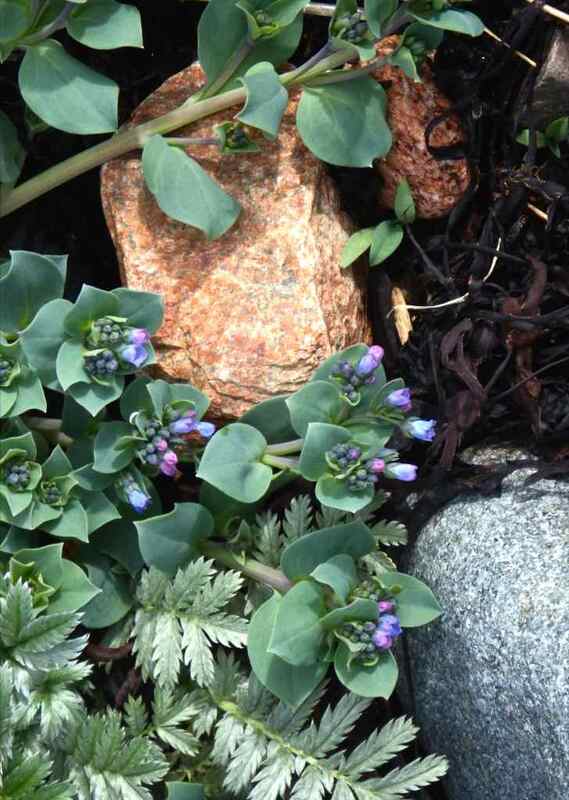 The most common name is “oyster plant”, but it’s also called “oyster leaf”, sea mertensia, and sea bluebells. Virginia lungwort is a cousin variety, Mertensia virginica. Offer your guests a mertensia leaf when you pass around glasses of Champagne: they’ll be amazed and impressed with this surprising yet delicious pairing!